Because if you are a real gearhead and a master of skills and tools you are going to want to start building stuff from scratch (fabricating). Whether it be custom made tools and fixtures for your shop, or prototypes of things you wish to create, drawing is an important part of the process. In fact, nobody really gets into the advanced levels of fabricating without dealing with drawings. There are two main reasons to draw. 1. Developing your own projects for the best results. .and2. Communicating with other skilled craftspeople. Drawings really help the creative process. How wonderful it is to be able to build, whatever it is you are trying to create, on paper, and being free to make mistakes without the expense of ruined materials and precious time lost. In the construction field, we build houses and home additions in computer models before we ever pound a nail or saw a board. As a result we come away with very good estimates over the materials we will use and of the labor that will be required to get the work done. The same principles apply to building with metal or composites in your shop. And then there is communication. Communicating with other craftspeople, like machinists and welders, is much more efficiently accomplished when drawings are part of the process. Let’s say you have some metal parts that you want to have cut from steel stock using a CNC plasma system. You’re going to be way ahead of the game if you show up with good drawings in hand. If you just show up with a vague idea in your head, somebody else is going to have to translate that into hard numbers and you are going to have to pay them to do it. And if you end up owning your own CNC equipment you will have to learn to draw to be able to get the numbers to run it, or hire someone else who can. Shop culture is about a lifestyle devoted to lifelong learning and improvement in all areas relevant to shop work. Drafting, and by extension computer aided design (CAD), is one of those skills that can make us better craftsman by improving our control over our projects and increasing the ways in which we can interact with the work. Dummies like me that is. Drawing plans must be in my blood, because I was doing it from a very early age. Later, when I was doing serious work in residential construction, I came to see the value of stepping up from basic drawing to something more like computer-aided design. I was using drawing software, like adobe illustrator, to make drawings for things like building home additions and kitchen remodels. At first I was just trying to make nice drawings so that I could show my prospective customers what I could do for them. And it worked! When customers could visualize what was proposed they were much more likely to authorize the project. But the more I drew, the more I saw the value of the drawings for myself as the builder. I could basically build stuff inside the computer before I ever laid a hand on a hammer or a 2 x 4. I could see potential problems before I would actually have to deal with them and I could get a lot of information for my materials list, Which was crucial to knowing what my costs would be. I am not a serious woodworker, but I am reading, with great interest, that more and more, woodworkers are using this free software product, Sketch Up Make, to build furniture in virtual reality before committing their designs to actual construction. I have always wanted to step up to a 3-D CAD software, But the prices were shocking and even when I took advantage of free trials, I found the learning curve to be steep and anything but intuitive. 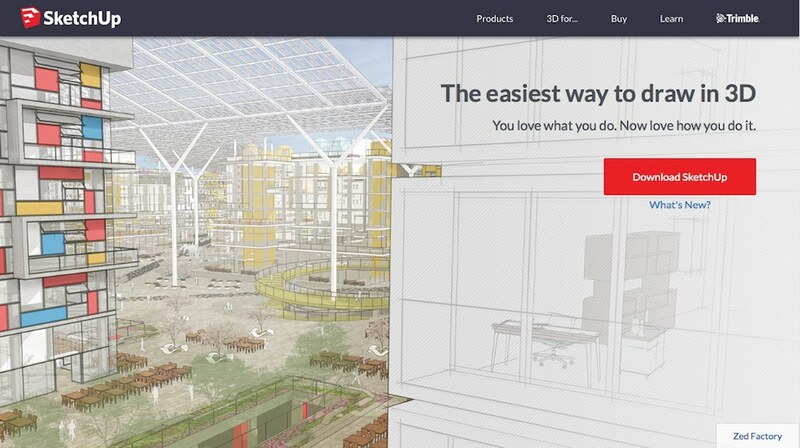 Well the folks at Trimble, the producers of Sketchup Make, have produced a CAD product that is more like a game and less like a college math class. So I hope you noticed that I said the product is free. So there’s no reason not to give it a try. It is also extremely well supported and has a gigantic community of users. There is also an open source library of 3-D objects, things that other people have already built and contributed to the library that you can download and make a part of your drawings. And there are countless tutorials on YouTube to give you ideas and get you up and running very quickly. It’s fun and I think it can help the user to become better at whatever kind of practical project hacker he wants to be. See how one successful woodworker used Sketchup to start a furniture making business. WrenchTech Garage: Shopcraft as Soulcraft. Get Skills. Get Tools. Get Busy. To say that I have enjoyed making and repairing things since my earliest days would be a gross understatement. I live and breath this stuff. A day doesn’t pass that I don’t wake up thinking about workshop buildings, tools, and cars that I want to work on. So imagine my excitement when I stumbled upon a book called Shop Class As Soulcraft. The author, Matthew Crawford, is a University of Chicago trained philosopher, but don’t let that put you off. He is one of us. Before he got his PhD he worked in an independent Porsche repair shop in Oakland, California and made money on the side repairing vintage motorcycles. 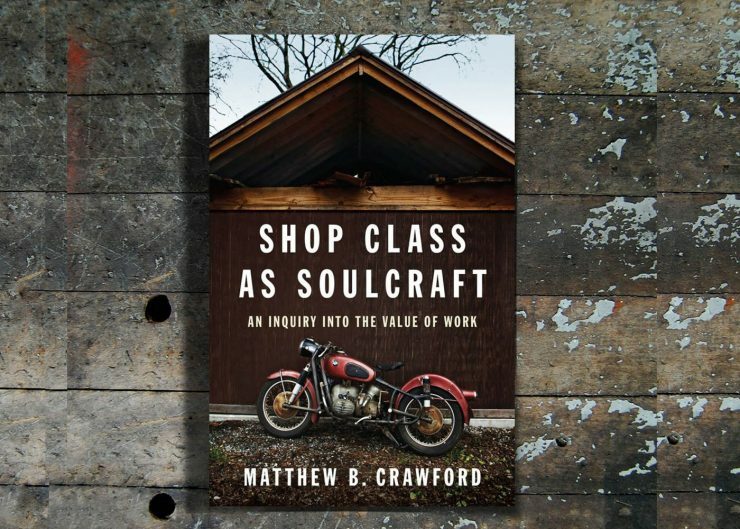 Crawford makes the case that the work that talented craftsmen, mechanics and trades people do is not only indispensable to our economy it is also the source of a kind of practical intelligence that the world can’t do without, a kind of intelligence that keeps us anchored to reality. Of course, we all knew that, and now science is in our corner. So working on stuff is not only good for you, it is good for the economy and good for the society. So exercise your maker brain. Get a good set of tools. Undertake some serious projects. Hang out with other folks who do the same. And read this book. This is my roundabout way of saying welcome to my website, WrenchTech Garage. I am a residential construction pro, lifelong gearhead and sometimes woodworker who dabbles in welding, machining, composites, computer aided design and a lot more. I have two classic Toyota 4 x 4 trucks that I am restoring that are featured projects on this website. I am also working on articles and videos about many other constructive projects and tools with an emphasis on skill, determination and cunning as a substitute for money, because I’m all about getting the most bang for my limited dollars.